Kulle Banu is 100 years old and a Rohingya refugee. Her family carried her to the river and put her on a boat to Bangladesh, so she could escape the violence in Myanmar. She shared her story with us. Kulle thinks she is ‘about 100-years-old’, maybe older. ‘My house was close to the river, so we got on a boat,’ the grandmother recalls. ‘We crossed the river and fled. I couldn’t bring anything with me’. Kulle is extremely frail. It was her grandsons (by marriage) who carried her to safety. Without their help, she might not have been able to flee. 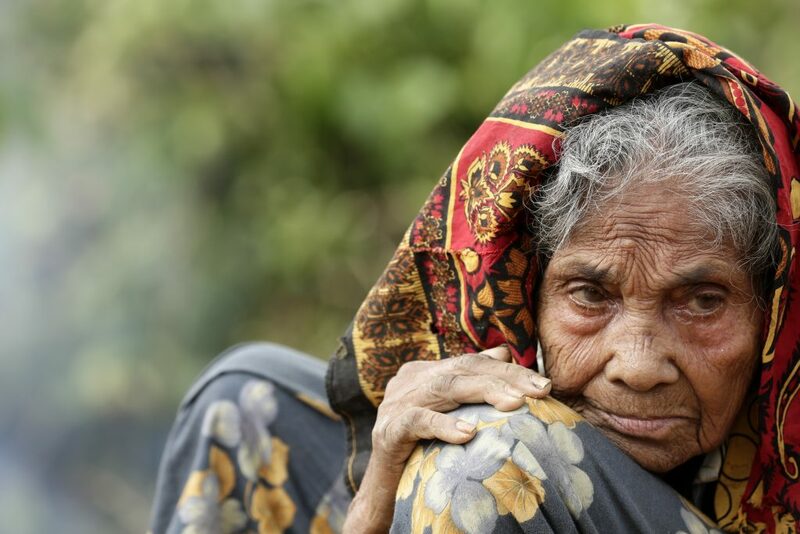 Kulle, a 100 year old Rohingya refugee, sits outside of her shelter in Bangladesh. 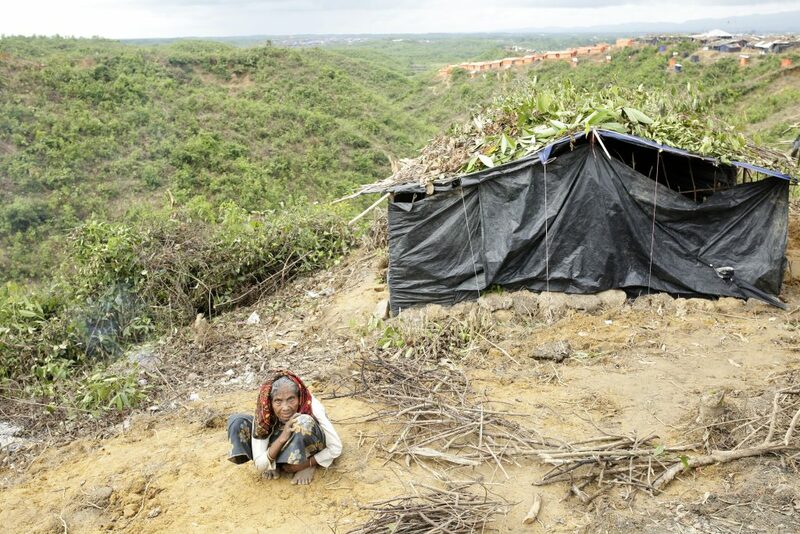 Now Kulle lives in this make-shift tent in Thayngkhali camp, one of the settlements in Cox’s Bazar. Shelters like this are being made by the refugees themselves, out of plastic and bamboo – whatever they have to hand. The camp is crowded, dirty, and it is difficult for her to move around. There are no pavements – only dirt paths and steep hills. Kulle is sick. The doctor told her that she has a tumour in her head, but he can’t treat it. She needs to travel to the city, to a bigger hospital, which is further away. Unfortunately, Kulle has no way of getting there. Kulle squats on the ground outside her home in the camp. Since August, over half a million Rohingya people have fled from Myanmar to Bangladesh in fear for their lives. 1 in 5 are older people like Kulle, who require specialist aid and support. Age International is working with partners to set up age-friendly spaces in Bangladesh camps. Equipped with washing facilities and accessible latrines, they will be a space where vulnerable older people can find help, healthcare and psychological support. You can donate here to help older Rohingya refugees.